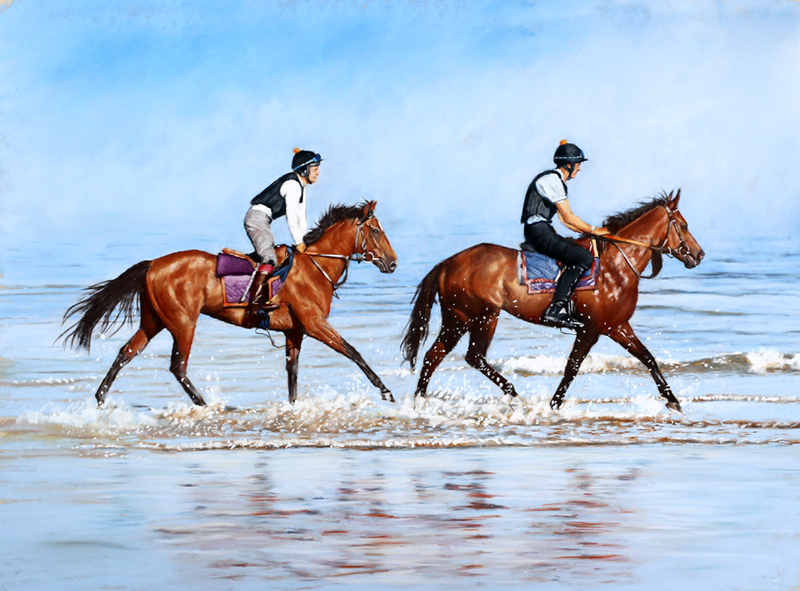 Brian Halton is one of the UK’s leading sporting artists, specialising in portraits of horses and dogs, whilst accepting commissions on a number of other subjects, including portraits, animals, and landscapes. Brian was born about 500 yards from Sedgefield Racecourse and has always had an interest in horse racing. After teaching Art and Design for a number of years Brian opened his own gallery in West Yorkshire 10 years ago to concentrate on his own work. Racing is his main interest, and he travels extensively to stables and racecourses both in England and abroad. His paintings have been commissioned by a large number of individuals and sporting organisations.